Welcome to the website of Dental Clinic Chong and Associates! Our dental clinic is a modern and comfortable facility, with a dental team who will take time to listen to your dental needs, and provide you with personalized, high quality dental care. Dental Clinic Chong and Associates provides a full range of general, preventive and cosmetic dental treatments in a relaxed atmosphere, using the latest technology. Whether visiting our clinic for a regular 6-month dental cleaning and check-up, or any other treatment such as fillings, sealants, crowns, veneers, root canal treatments, teeth whitening, or treatment for gum disease or in case you have missing teeth, by offering fixed bridges and/or implants, or removable options such as partials or dentures; the options are numerous and our team is focused on providing you with the highest quality dental care. 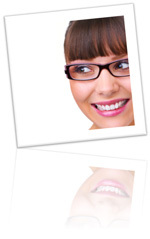 Many people do not realize the many health risks associated with poor dental health. If you are experiencing loose teeth, bleeding gums, sensitivity or pain with your teeth when eating or drinking, please make an appointment with us to discuss your dental health needs. Helping you to feel comfortable during treatment, and improving your dental health is a commitment we take seriously. Thank you for visiting our website. Feel free to call us or e-mail us if you have any questions!